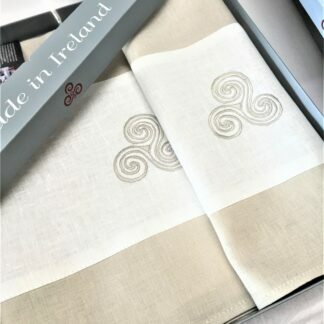 Inspiration for this linen collection comes from Ireland’s rich heritage. 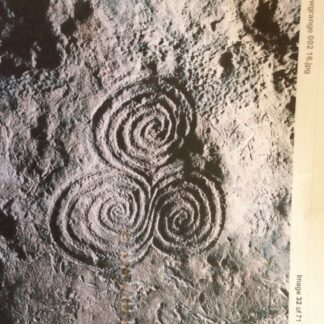 I have a deep interest in Irish history and especially in Megalithic Ireland, which is pre-Christian and pre-Celtic. 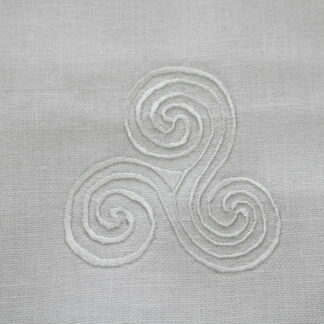 The monuments and art crafted by our ancestors during this period is truly inspiring. 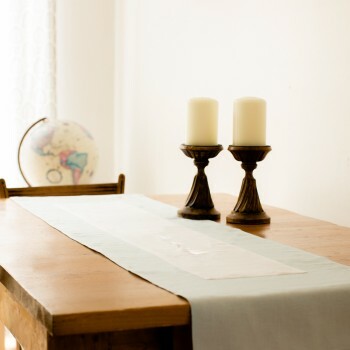 Monuments were built using the most primitive tools imaginable and they have stood the test of time. 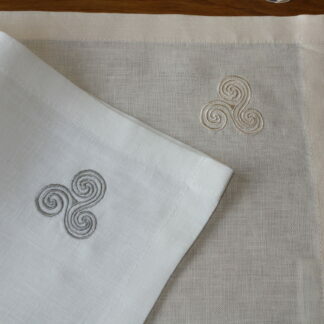 I was motivated by this to create linen that would also stand the test of time. 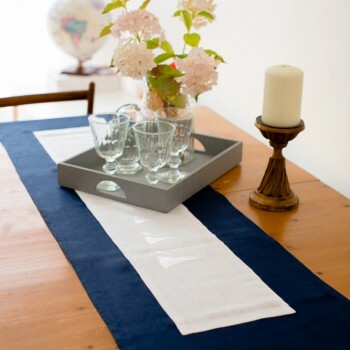 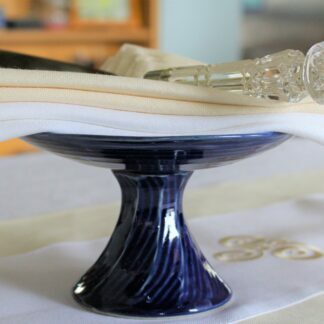 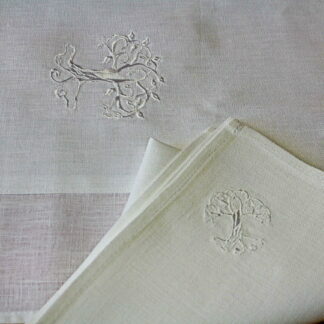 Although our linen may not last for centuries, it is practical as well as beautiful and suitable for everyday living. 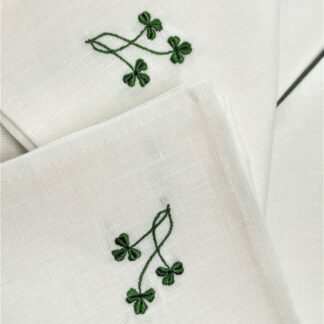 This collection includes the shamrock which is probably the best know example of Irish Christian art. 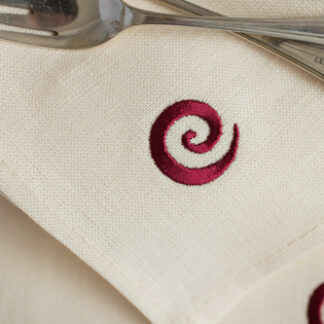 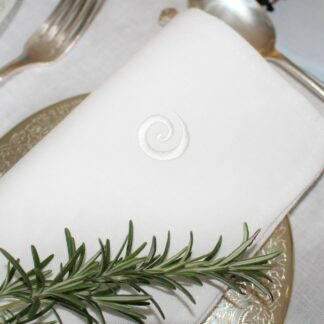 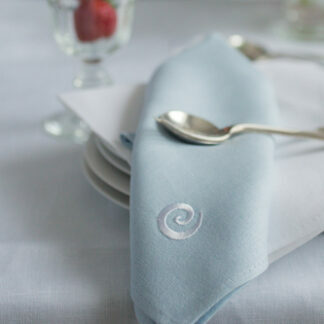 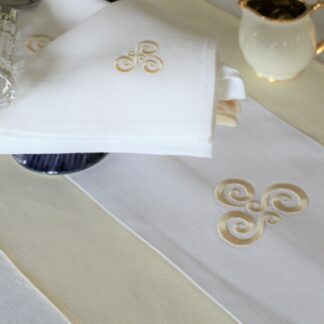 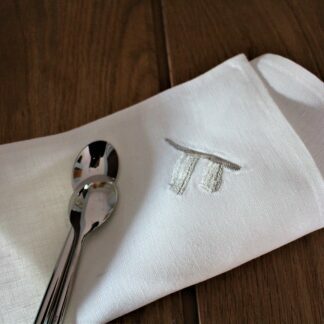 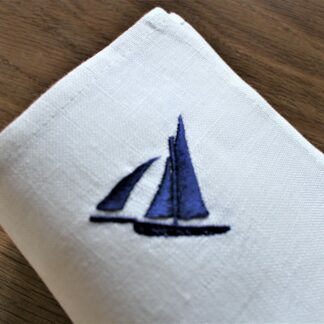 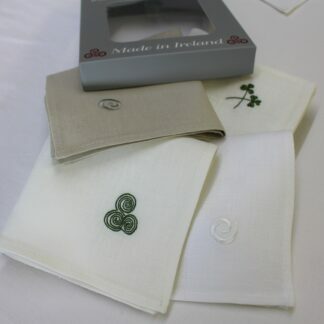 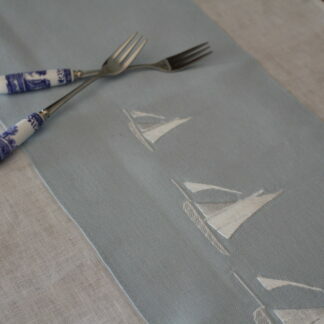 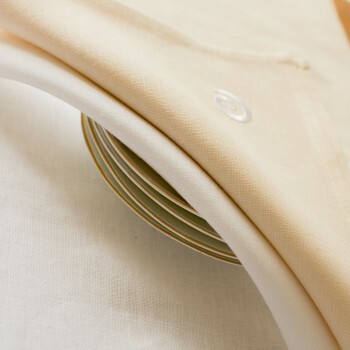 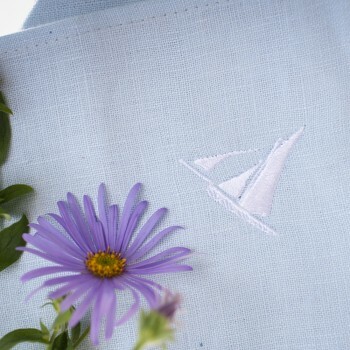 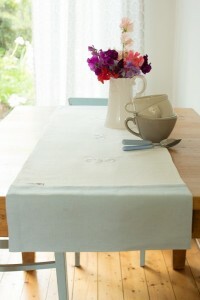 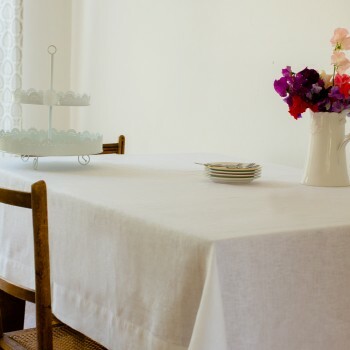 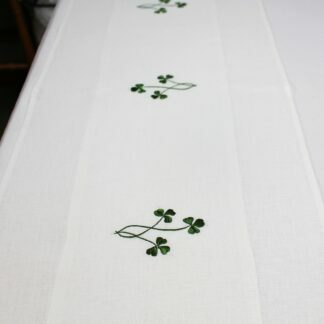 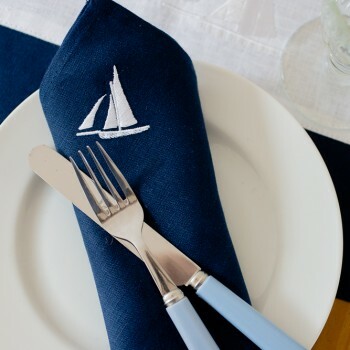 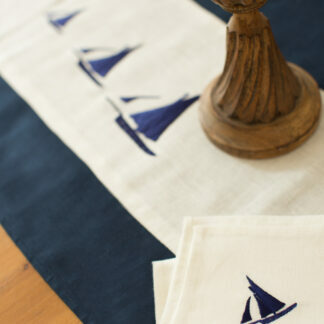 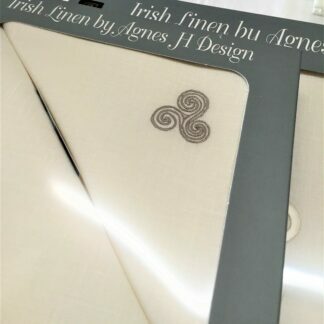 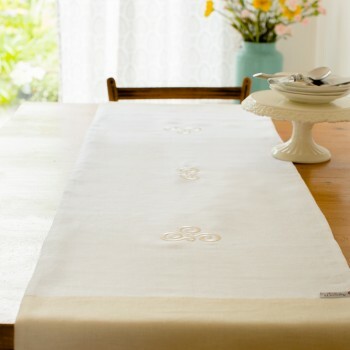 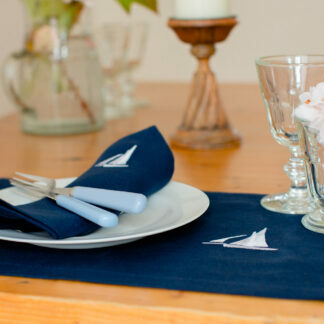 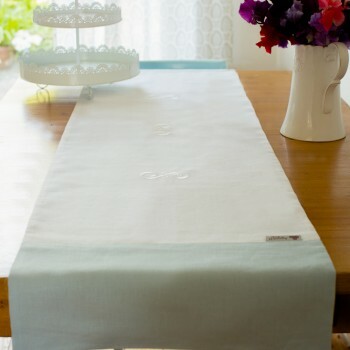 Irish Dolmen linen dinner napkins.